The Berdine Creedy 10th Anniversary Collection. 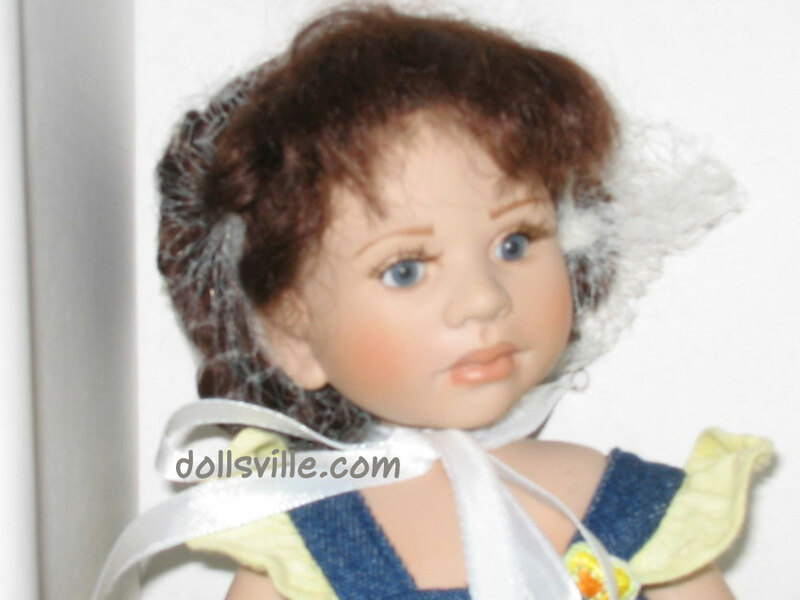 A vinyl fully-jointed Berdine Creedy doll with soft brunette hair, blue eyes, eyelashes, and a sweet, pouty child's face. 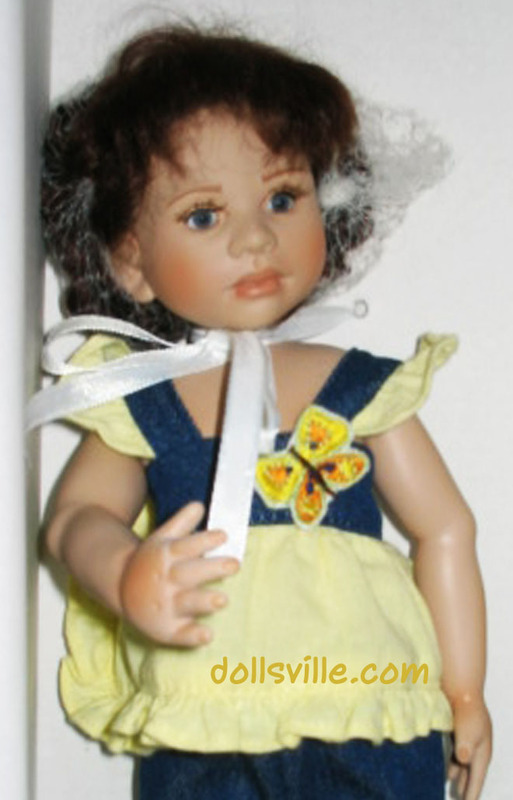 Petra is costumed in a blue and lemon outfit. From Berdine's 10th Anniversary Collection. Petra is 10 inches tall.